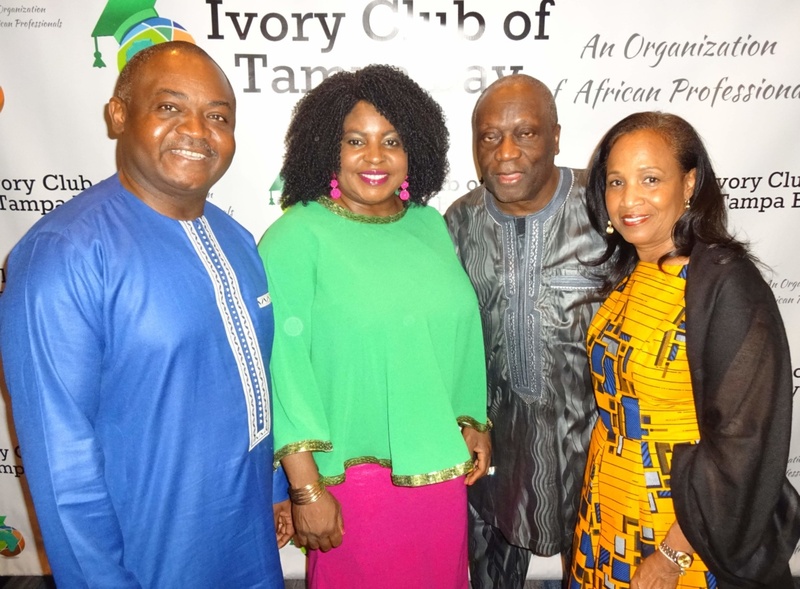 University of Hartford professor of English Joyce Ashuntantang addressed members and guests of the Ivory Club of Tampa Bay on the importance of documenting cultural memories at the 14th annual Evening in Africa dinner at the West-shore Grand Hotel. The Heritage Ensemble and the Tam Tam Drummers of Harambe performed at the May 5 benefit and guests bid on a silent auction of African art and clothing, many dressed in colorful African fashions themselves. Club president Jean-Pierre Nziga presented five scholarships to University of South Florida students, bringing the total awarded to more than 50 in the past decade.